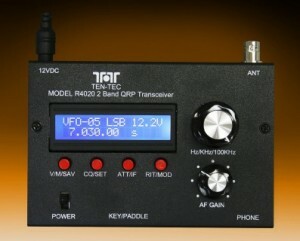 Ten-Tec has just announced that they’ve placed their models R4020 and R4030 two band QRP transceivers on sale. Both are now available for $199 US and include a QRP go-pack (which includes a shoulder bag, rig, and antenna). This entry was posted in Announcements, News, QRP Radios and tagged Model R4020, Model R4030, QRP Transceivers, Ten-Tec Model R4020, Ten-Tec Model R4030, Ten-Tec Sale. Bookmark the permalink. Dear Friend, I need this R4020 TenTec QRP Transceiver. Please let me know how much I have to send including the shipping cost to Ashburn, Virginia, Washington D.C.